As ever, we’d love to hear your suggestions for potential themes for tastings so don’t be shy! Looking forward to finding out what this means… fingers crossed for St Laurent. Ditto! Got to love a bit of Beaujolais! Really hoping I can attend the April one! We’ll be back from Alsace on the 23rd, so might need to put an order together whilst in Colmar. There are worse things to do in Colmar, I guess! I too am looking forward to the beaujolais tasting, but I’m only getting home from France on the 18th so will be quite tight! Syrah versus grenache in an autumnal Rhone shoot-out ? Obviously nothing too expensive though. If it was now, something like the Feratton VDP de l’Ardeche Syrah up against the CDR GSM blend from Clos Romane. For the summer. A dry Alsace or German riesling up against an equivalent from the southern hemisphere, one from the Clare or Eden Valleys perhaps ? Looking forward to the one in April ! Those are both good suggestions for the second half of the year! There’s also gotta be a rose one in summer, surely? Maybe a nice Provençal vs something else dry but cheaper from a less glitzy locale? There’s also gotta be a rose one in summer, surely? That’ll get my vote! Maybe we can even win some converts to the pink cause! There’s always a good selection - and one must be a Tavel, I reckon! Ooo, I’d sign up for that. Not a big rose drinker previously but during last summers heatwave they really hit the spot. Has there been a sparkling head to head yet? Loire vs Limoux? But also loads of other non-champagne options you could pick from. Viable alternatives to the ubiquitous Prosecco? Has there been a sparkling head to head yet? 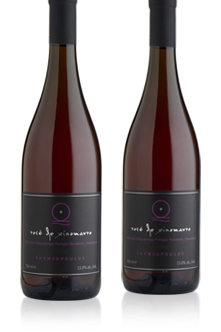 A late-released pink pinot noir that has benefited from a little longer ageing. Full-flavoured, very round, long and gently spiced. We are very pleased to welcome back this rosé made by the master of the xinomavro grape. This is every bit as much a fine wine as any red or white, with its complex aromas of cranberry, wild strawberry and cherry, and deserves to be drunk all-year-round. Lovely now with cold cuts. Delicious. 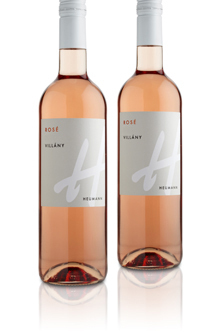 Delightful rosé with charm and fruit, made from kekfrankos and merlot by a small high-quality estate in Villány, southern Hungary. 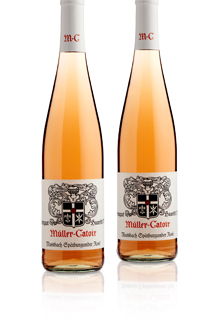 Similar to Provençal rosé in colour but much more enjoyable than many pricier Provence pinks. I second (or third or fourth) that! Haven’t been a huge fan of rose in the past but am willing to revisit it. Orange wine - my new obsession. Random idea, apologies if this is too random…my 1 year won’t sleep so I’m going a little crazy, but what about a blind tasting? I’m sure a couple of producers would be up for providing their wine without labels, could provoke an interesting debate. +1 on orange wine! There are SUCH differences in styles, and it would also be a great way to read other people’s descriptions of the less familiar flavours. Unless I’m much mistaken, the emerging theme is that we want to have more comparative virtual tastings. It’s not really possible to compare red to white, which is mostly what we’ve been doing - so the real ‘comparative’ element has been absent. For the more traditional white vs red - how about an example each from the Rhône, say Lirac rouge vs Lirac blanc? I think of that poor Manzanilla last year, that never stood a chance against an absolute belter of a Langhe Nebbiolo.